Glad to hear baby girl is coming home soon! Congratulations; they are too precious!!! Congratulations! So glad your little girl is doing well now! Congratulations! Glad you little man is doing well, and so excited hear that your sweet little girl is coming home too!! I am so happy to see this post! I was hoping every day for an update! So happy all is well now w your little girl & she’s going home. I bet that was a mega highly emotional week. How are you managing with feedings?? Your daughter, has she gotten any Breast time or not yet? I can only imagine with two! Your daughter would have needed pumping while your son Bf? We will always feel guilty on some level EH. Me too for wanting to stop early. 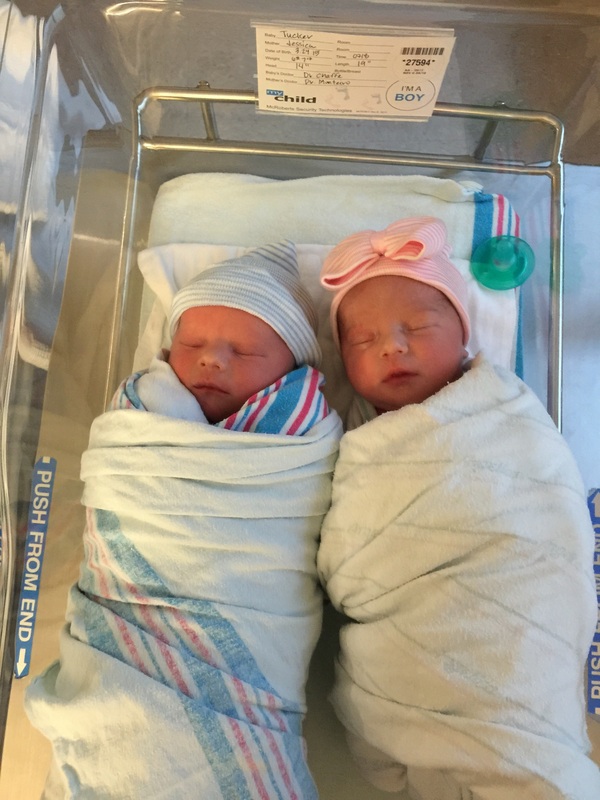 Congratulations on the birth of your sweet little ones!! Congrats!! I’m glad they are both doing okay now. They are beautiful! I don’t know how I missed this!! OMGoodness, what beautiful babies. Congrats to you!